Inaugural Berkeley and Oakland Hills Street Scramble challenges contestants with a sporty scavenger hunt. The Berkeley and Oakland Hills Street Scramble. As it turns out, Rogaine is more than just a topical solution for the follicularly challenged. The term also refers to a part-athletic, part-navigational sport in which contestants are handed a map and tasked with locating a series of checkpoints by foot, typically in the wilderness but increasingly in urban settings. Rogaining, which was formalized as a legitimate sport in Australia in the 1970s, is essentially an endurance-based treasure hunt, the stuff of a competitive cartographer's dreams. Vladimir Gusiatnikov is more athlete than mapmaker, but he knows the sport well. He has competed in five World Rogaining Championships from Canada to Estonia, once completed an eastern Oregon rogaine that found him trekking through a remote piece of land formerly held by the infamous Rajneesh Cult, and in 2008 co-founded a nonprofit, Get Lost!! Running, Racing, Inc., which specializes in the navigation-based expeditions. "I love discovering the land," he said of the sport, "whether it's in the wilderness or in cities. It's very different than just traveling a pre-set path in a city marathon or a 5k. You get to choose what you see." But you won't have to travel far to try the sport for yourself. Get Lost!! 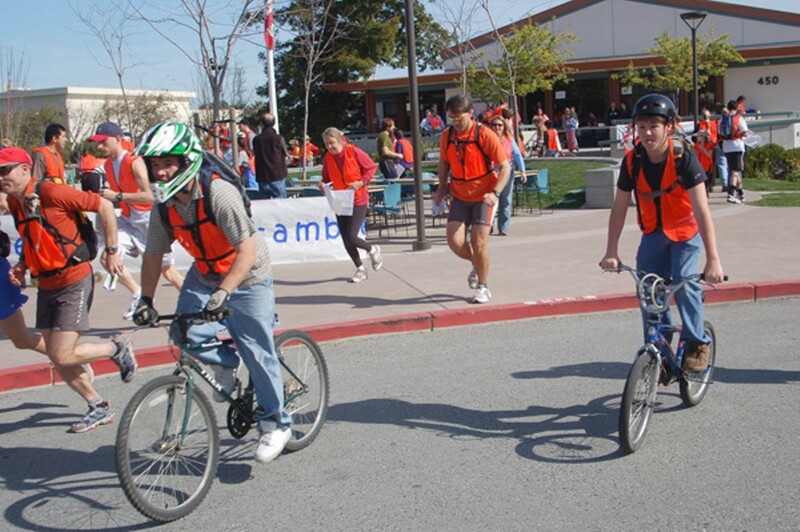 brings it to the East Bay on Saturday, September 24, with the Berkeley and Oakland Hills Street Scramble, which challenges contestants to find more than two-dozen designated points of interest within a thirty-mile radius that encompasses Lake Temescal, upper Rockridge, Hiller Highlands, and the UC Berkeley campus. The event marks the first time that a Street Scramble — a form of rogaining organized by a Seattle-based adventure-sport company called Meridian Geographics — hits the streets of the East Bay. Whether on foot or by bicycle, individuals and teams of all ages will partake in either ninety-minute or three-hour forays throughout the two cities, embarking on paths of their own choosing and ticking off answers to idiosyncratic trivia questions about each successfully located landmark; the team with the most correct answers earns the win. Essentially, it's an activity that can be undertaken in the spirit of competition or out of a purely curiosity-driven desire to explore the area. "We like to show things like murals, interesting houses, landmarks, parks, and places that are funny or quirky," Gusiatnikov said. "Street Scrambles certainly have an athletic component to them — they're not purely a trivia quest or scavenger hunt — but I think they can be enjoyed by everybody."